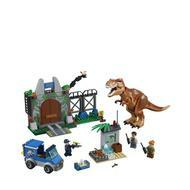 - Includes 3 minifigures: Claire, a guard and a scientist, plus T. rex and baby dinosaur figures. - Features 2 Quick Start bases (one with an opening gate and the other with a wall element), movable robot arm and attached breakaway fence section, plus a small science station with case, screen and small fenced area. 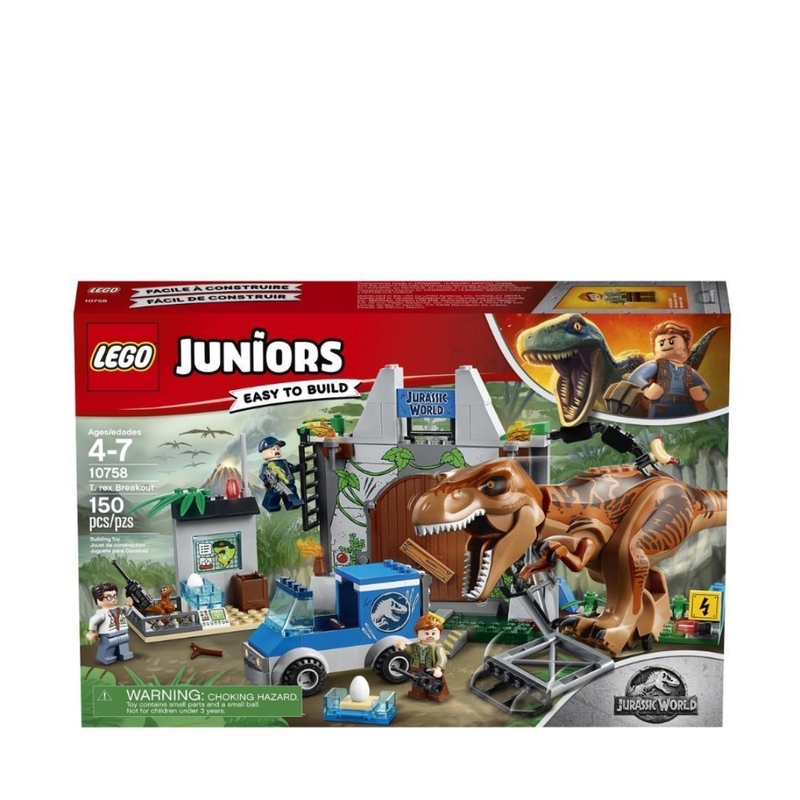 - Also includes a truck with Quick Start chassis, opening back and room for a crate, plus a posable, buildable T. rex with opening jaw. - Climb the ladder by the gate to look for the T. rex. - Lower the robot arm with the attached hot dog to distract the T. rex from the fence. 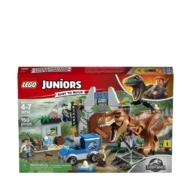 - Load the baby dinosaur or the dinosaur egg in the crate into the back of the truck before the T. rex breaks through the gate. - Build and rebuild the fence after the T. rex knocks it down. - Accessory elements include 2 dinosaur eggs, box, tranquilizer gun, stick, 2 walkie-talkies and a hot dog. - This awesome construction toy is suitable for ages 4+. - T. rex measures over 4” (11cm) high, 11” (28cm) long and 2” (6cm) wide. - Truck measures over 2” (6cm) high, 3” (9cm) long and 1” (4cm) wide. - Main gate with fence measures over 5” (14cm) high, 8” (22cm) wide and 4” (11cm) deep. - Science station measures over 2” (7cm) high, 3” (8cm) wide and 1” (4cm) deep.